About 1 minute on foot from Iga Railway "Uenoshi Station(上野市駅)". About 10 minutes by car from Meihan Highway "Nakase（中瀬）" Interchange. About 10 minutes by car from Meihan Highway "Ueno Higashi（上野東）" Interchange. 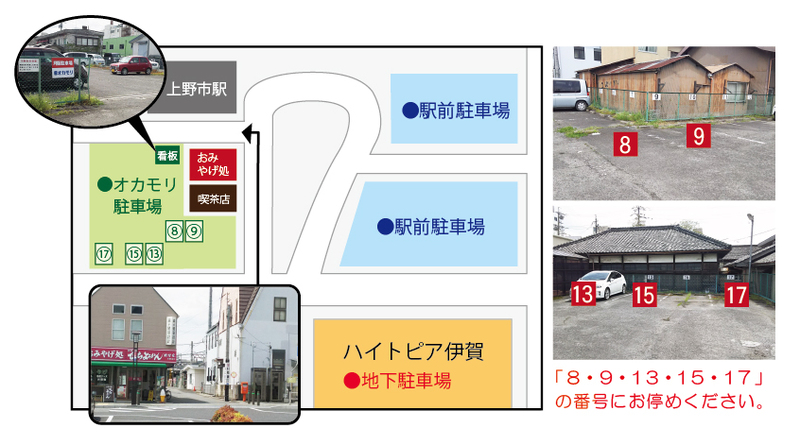 ※ Please park your car at number 8, 9, 13, 15, 17. 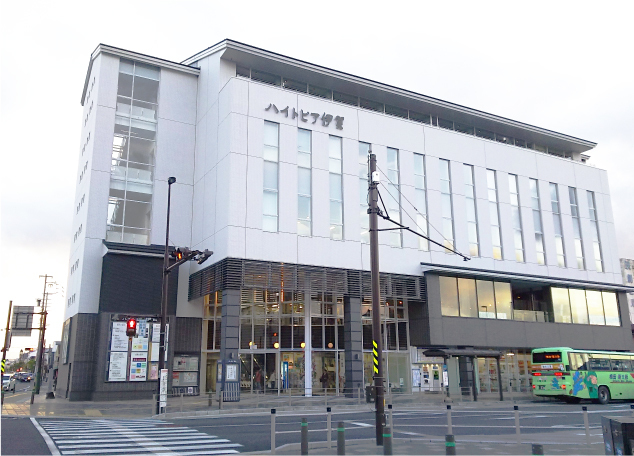 Turn into the roundabout at Ueno-shi station and turn left at Ueno-shi station building front side. On the left you can see the sign of "Okamori parking lot(㈱オカモリ駐車場)".